If you are an old school wrestling fan you will know that there was a time when Survivor Series was synonymous with Thanksgiving. It was more than a November pay-per-view, it was a Thanksgiving tradition that families watched during turkey time. 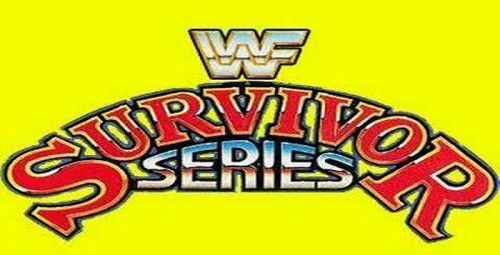 From 1987 to 1994 Survivor Series either took place on Thanksgiving Day or Thanksgiving Eve. Families watched Survivor Series as they ate and fellowshipped with one another. After 1994, Survivor Series moved to Sunday and gave wrestlers the much-needed holiday break to spend time with their families. However, Thanksgiving Survivor Series gave families the same feel as Thanksgiving Day football. Survivor Series was apart of Thanksgiving tradition. Survivor Series was a sporting event to fellowship and watch with family on Thanksgiving. Here are the top five Thanksgiving Survivor Series Cards. The first Survivor Series that makes the list is Survivor Series 1991. Survivor Series 1991 took place on Thanksgiving Eve, November 27, 1991. This card is particularly special because it highlights the first WWE Championship win for the Undertaker. The Undertaker defeated Hulk Hogan under questionable circumstances as Ric Flair put a steel chair under Hogan as The Undertaker delivered his Tombstone Piledriver (fun fact: Hogan’s head was nowhere near the chair when The Undertaker did the Tombstone). 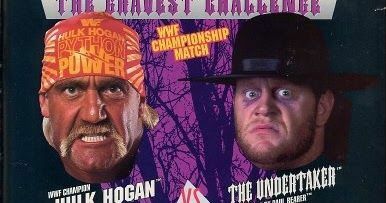 Although the match was more about Hogan and Flair than The Undertaker; The Undertaker still walked away champion. Also, on this card…was nothing worth noting. Unfortunately, nothing else on this card proved to be worth re-watching. The card proved to be disposable and WWE really dropped the ball on this Survivor Series. However, The Undertaker’s first WWE Championship reign makes this Survivor Series worth watching especially since the year before at Survivor Series 1990, The Undertaker was just making his WWE debut. Although the Undertaker would soon lose the title this event will forever be apart of his amazing legacy.